In the 1930s the Union Pacific Railroad needed a more powerful locomotive to get trains over the rugged grades of the Wahstach Mountains. So far helpers were needed, increasing cost and slowing speed. Based on an existing 4-12-2 a design was suggested with the six sets of drivers split into two groups of three and with two groups of cylinders. Boiler and firebox were enlarged and two trucks were added. Crossing the Wahstach mountains was considered a challenge giving this new wheel arrangement its name. 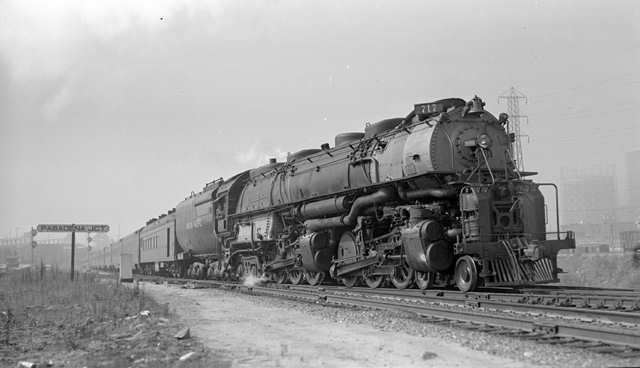 The first 4-6-6-4, UP number 3900, entered service in 1936. The new type proved to be a well balanced design, running steadily at high speeds (unusual for Mallets). UP decided to assign ten Challengers for passenger services. They were painted in the corresponding color scheme and were fitted with smoke deflectors. 252 Challengers were built until as late as 1947. Note: locomotives like the Challenger are often referred to as Mallets. Strictly speaking this is not the case. 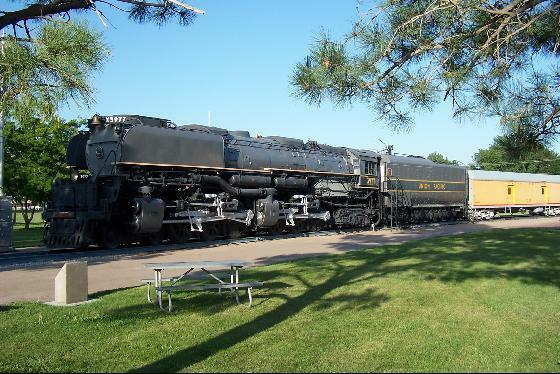 These locomotives are articulated conform the Mallet system. They do not use compound expansion however, which explicitly was part of the Mallet patent, and both sets of cylinder are fed with live steam directly from the boiler. Actually the Rivarossi model is not a beauty. It does not reflect the shear beauty and balance that the prototype radiates. Rods and valves are crude and shiny. The wheels are nowhere near a good resemblance, let alone the RP25 standard. The measure of detail is not much better than the Revell Big Boy. The motor is awkwardly protruding from the back of the driver cab and details like handrails are made of too shiny chromed wire. Its running capabilities are limited. When I first tried it, it wouldn't even run. Only after some tweaking and tuning I could convince this model to move. This model is one of the very few buys I regret. The only reason I bought it was the color scheme. Never in my life had I seen this pretty scheme and it suits the Challenger excellently. Until I saw this copy, I hadn't even noticed the existence of this color scheme.